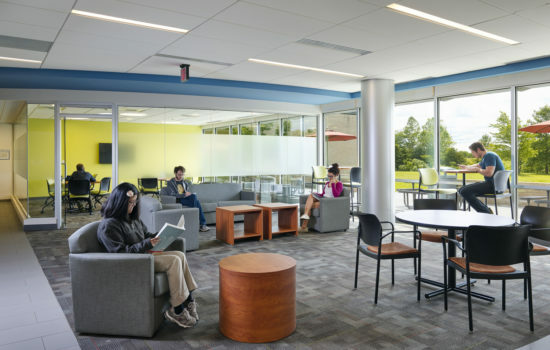 Lord Fairfax Community College (LFCC) serves a student population of 7,600 scholars offering more than 75 associate degree and certificate programs. 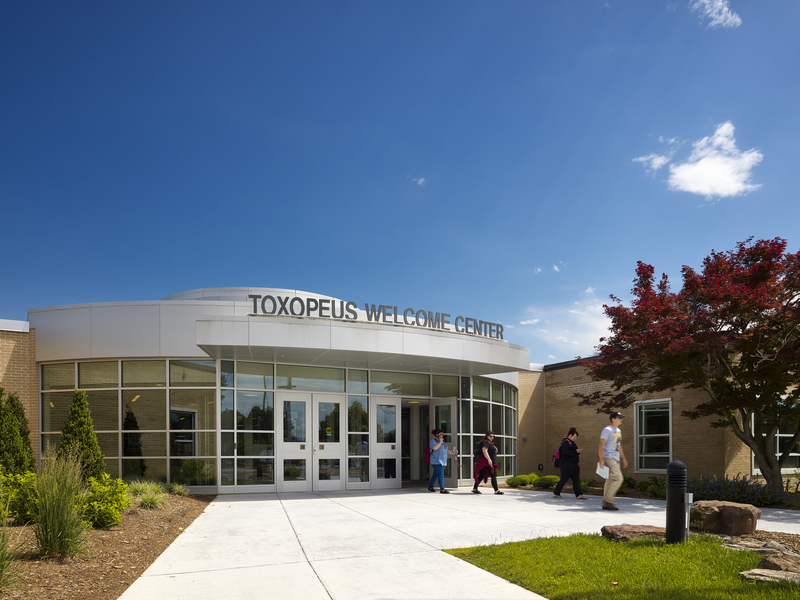 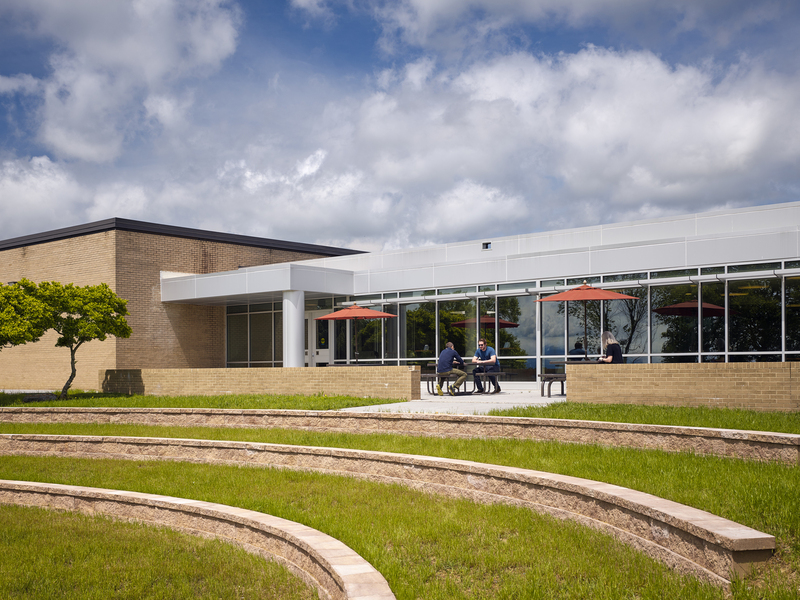 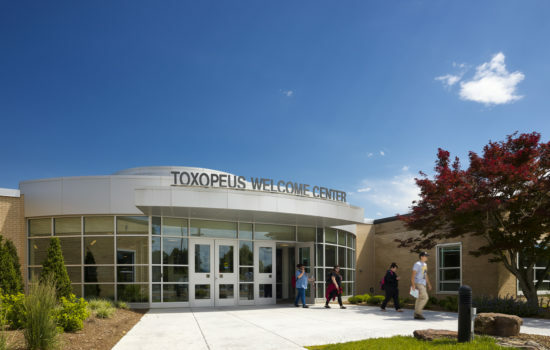 Its Middletown campus, located in the Shenandoah Valley, is undergoing rapid growth and revitalization with the renovation and construction of several campus buildings. 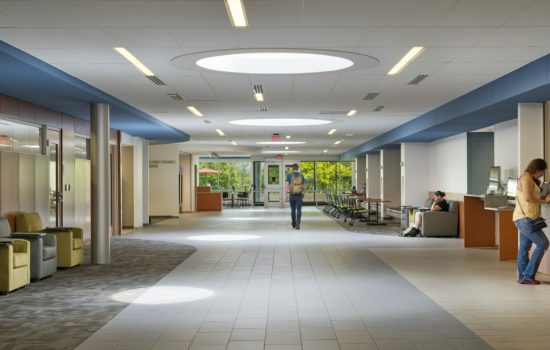 Fairfax Hall is the college’s original building consisting of 65,000 square feet and housing the school’s administrative offices, business offices, campus police, financial aid, admissions, records and registration, faculty suites, instructional classrooms including computer labs and painting and pottery studios, and a student lounge/independent learning area. 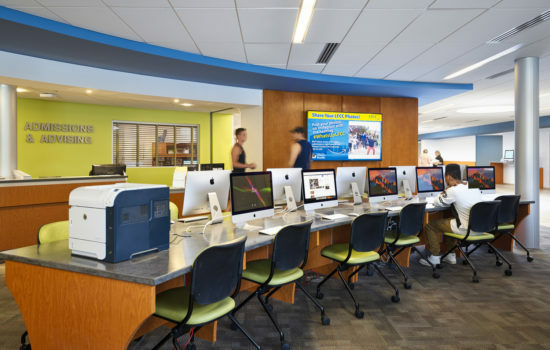 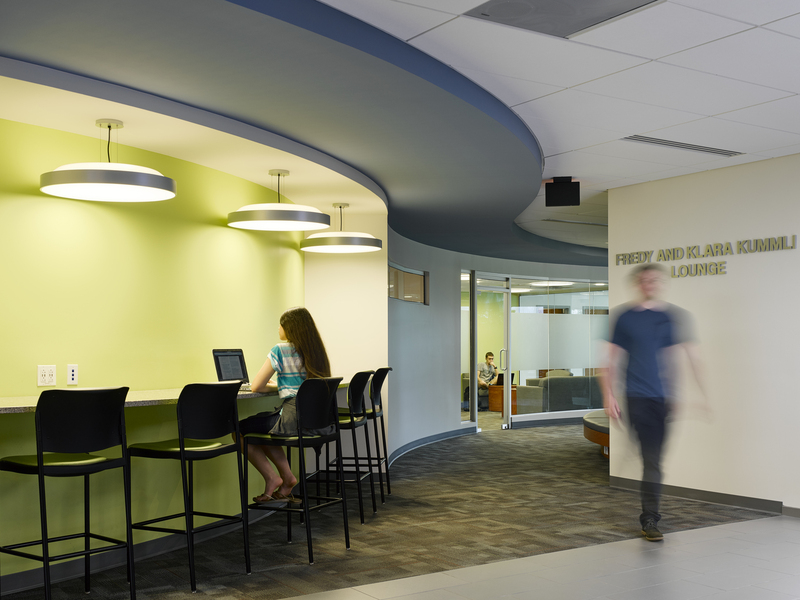 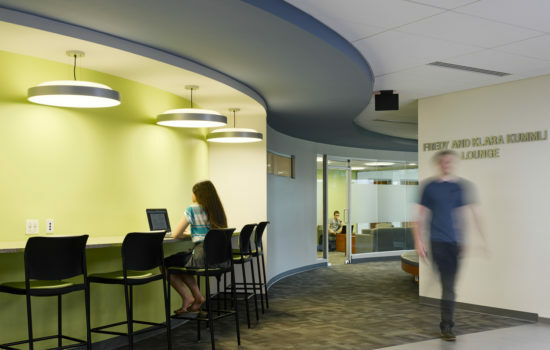 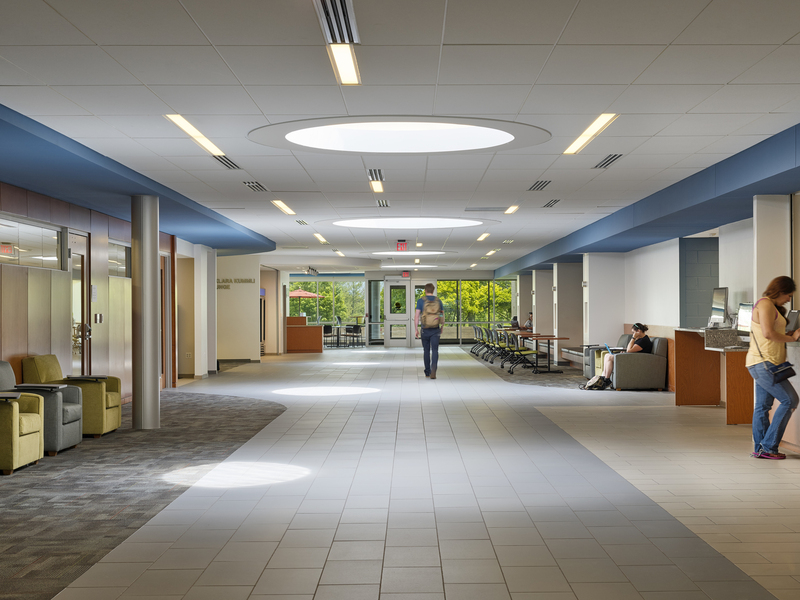 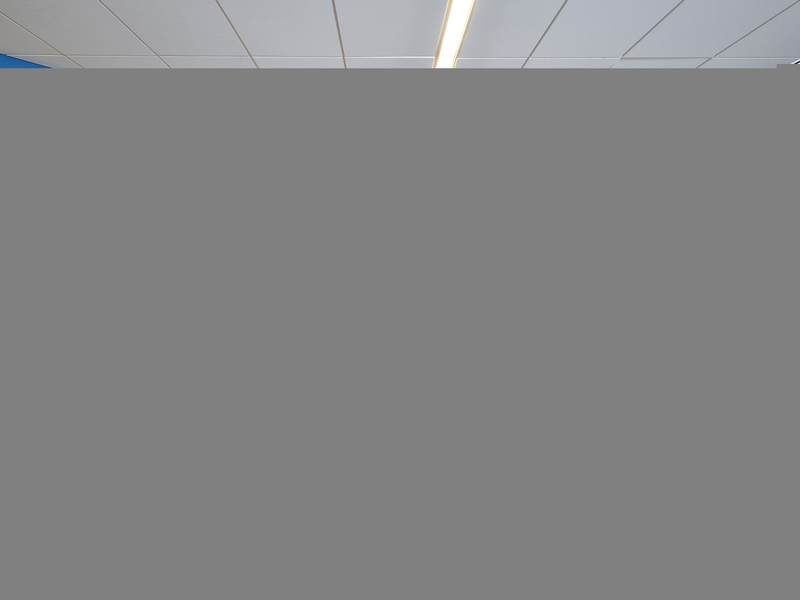 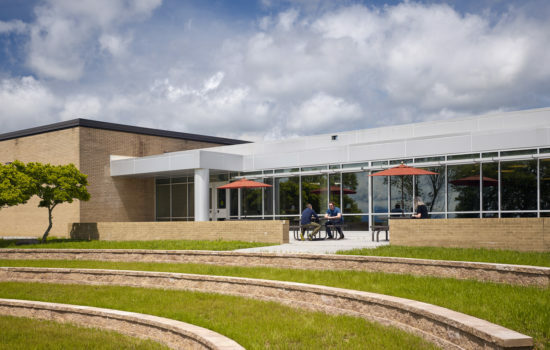 The once maze-like circulation with student service offices scattered throughout the building was transformed into a coherent, singular “Main Street” spine that connects the front entrance through an open Learning Commons and out to the exterior landscape. 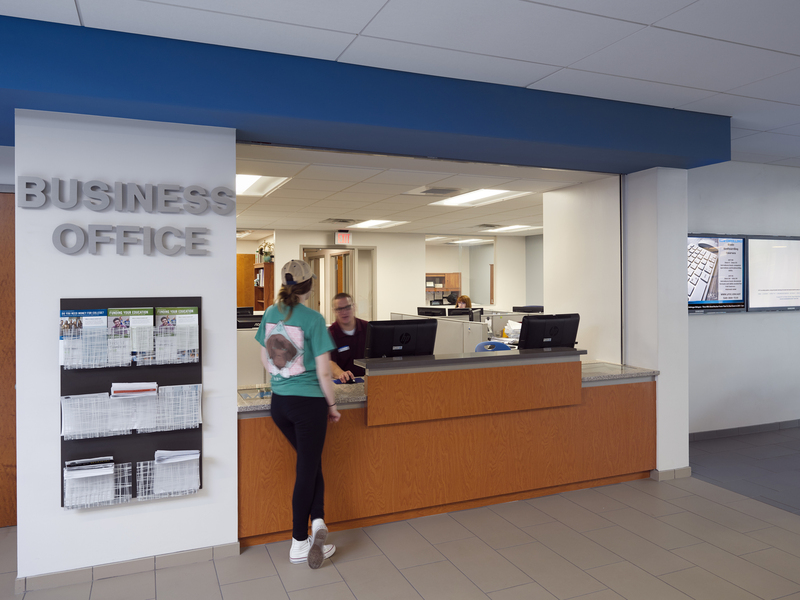 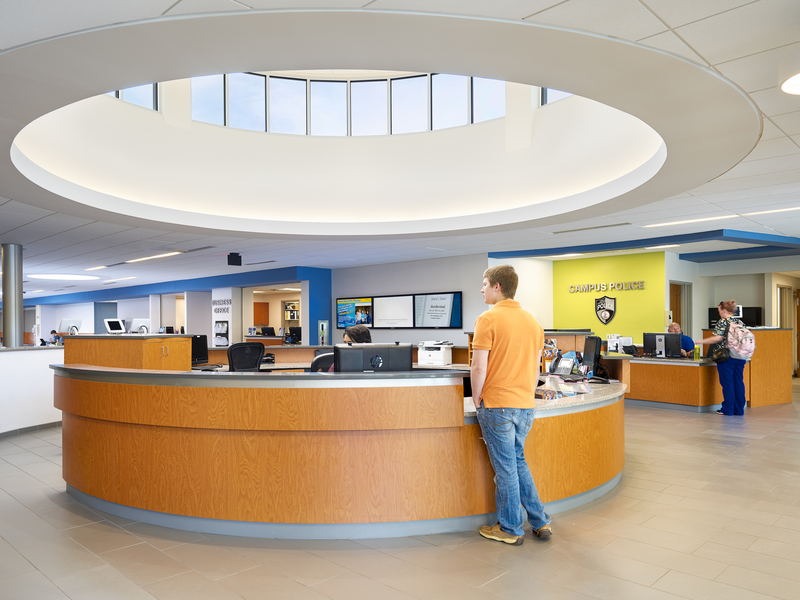 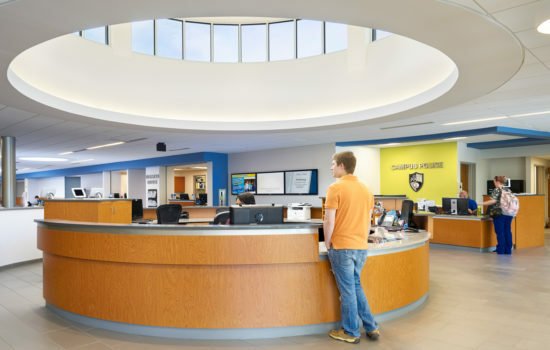 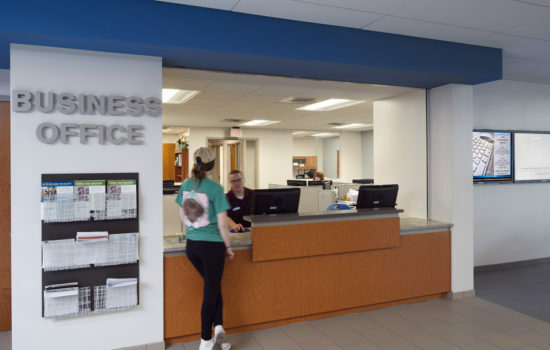 Driven by the college’s open-door philosophy, the plan creates a “One Stop Shop” where all student service offices flank Main Street and are visible from the central Welcome Center. 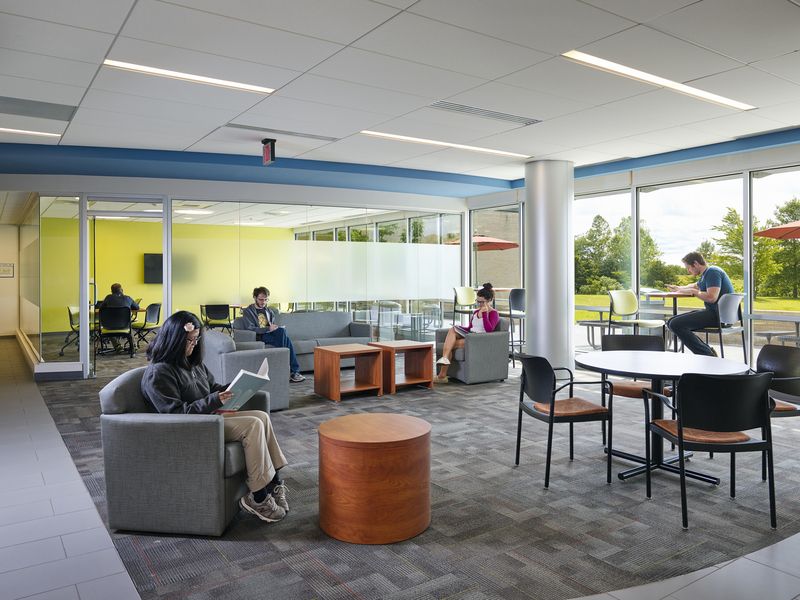 The new design successfully integrates updated learning environments to meet the needs of 21st century learners.